As a huge Terminator fan, I would have to say this Terminator movie was very disappointing. Even Arnold coming back to the famous character couldn’t save it. The only good thing about it was the action and Emilia Clarke who is an actress who I like. The plot was kind of silly and I think it was loaded with plot holes all over. Plus I thought the movie was badly casted for the most part. This film is neither a reboot or a remake but instead, I look at it as a continuation of “T-2: Judgement Day”. It’s just a typical Terminator movie with lots of action and special effects. 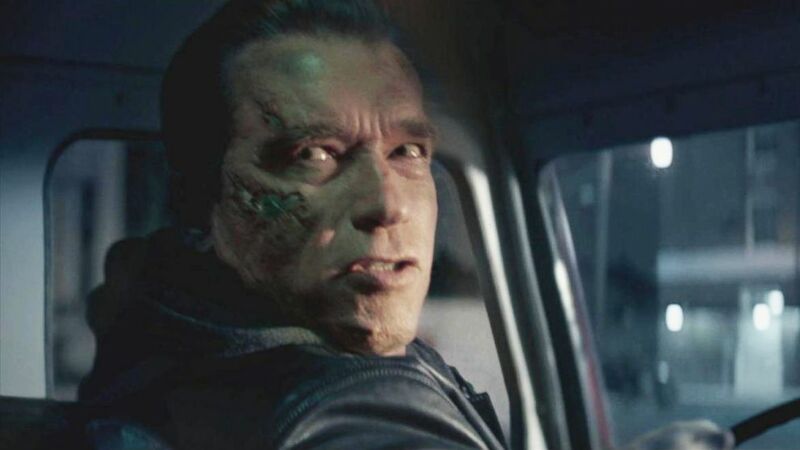 The only reason they did the aging Terminator storyline was so they can give an excuse for an aging Arnold Schwarzenegger to return. The action was fun but like I said, it was the only good thing about the film. I just wish it would be better ’cause this film was kind of a let down, in my opinion. It’s hard to make a great Terminator movie without James Cameron helming, only he can make a great Terminator movie. They can make as many Terminator movies as they want to but nothing will be better than the first two. I thought Michael Biehn played the better Kyle Reese. The movie was just okay. It wasn’t anything special. I wish James Cameron would come back and save the Terminator franchise but he vows not to come back to them. He wants nothing to do with the series anymore which is a shame. I’ll give the movie a score of 2 out of 5 as in “okay”.